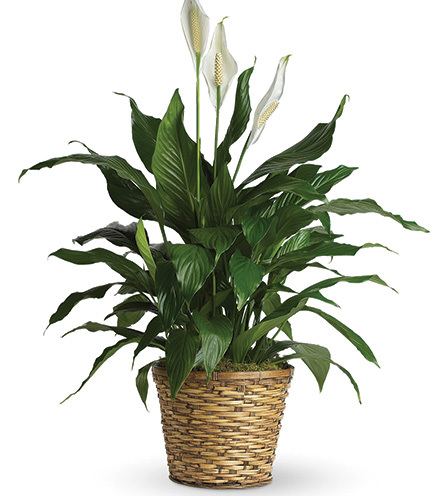 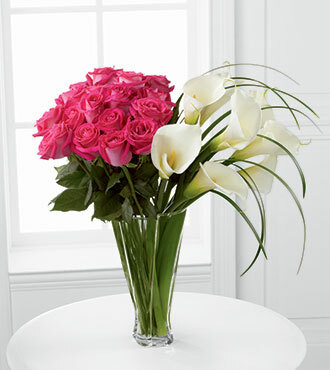 Show someone that you love them with a beautiful bouquet of open-cut calla lilies. 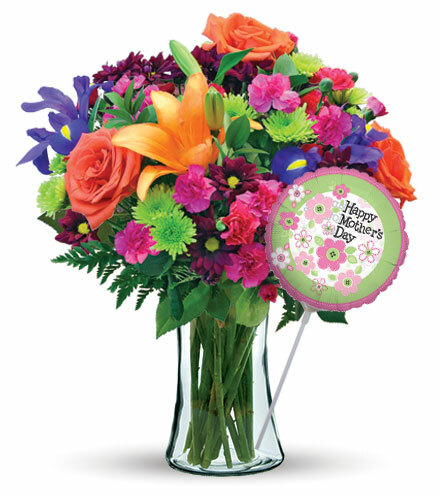 This beautiful bouquet of fuchsia roses, calla lilies, and blades of grass make a simple and sophisticated statement in the recipient's home. 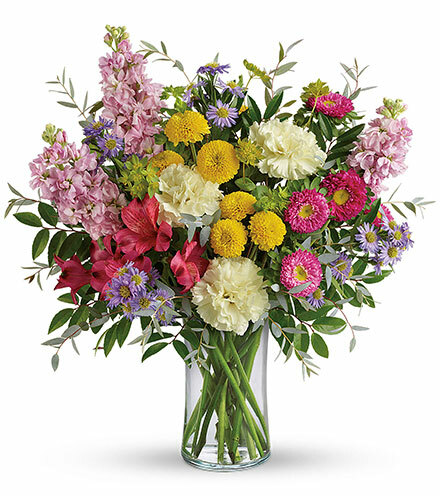 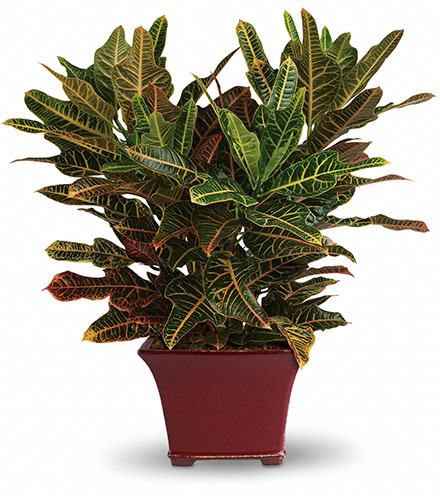 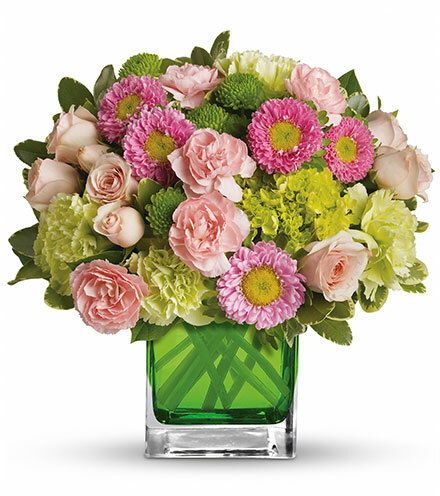 The clear glass vase is the perfect size to hold the greens and flowers together in one place. 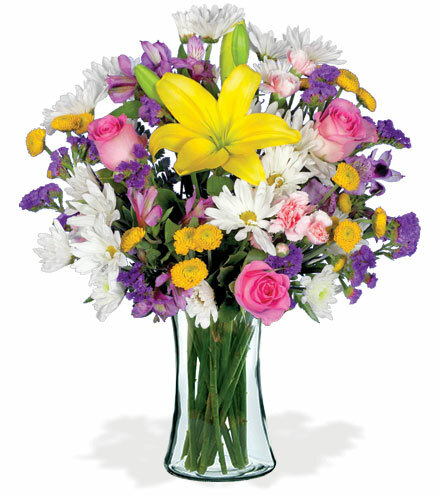 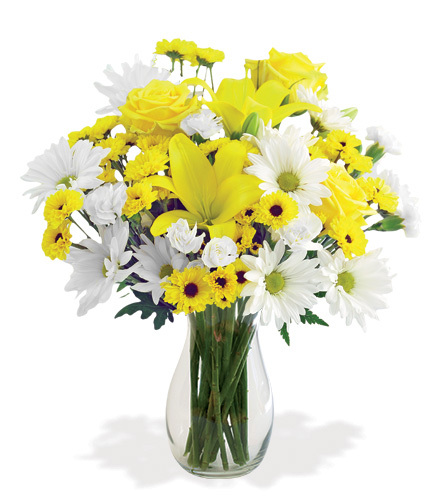 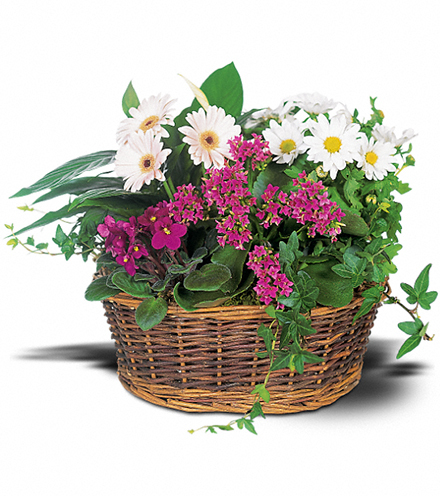 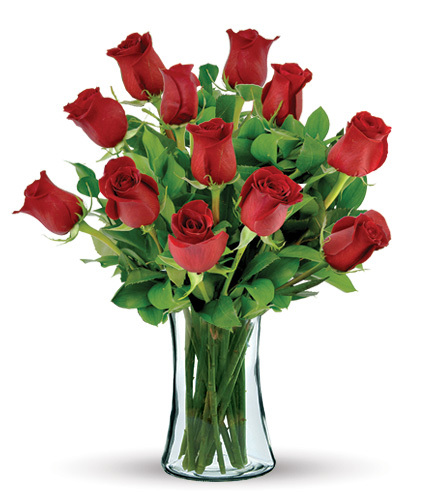 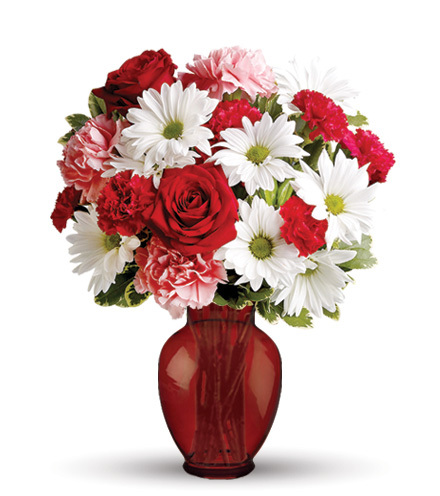 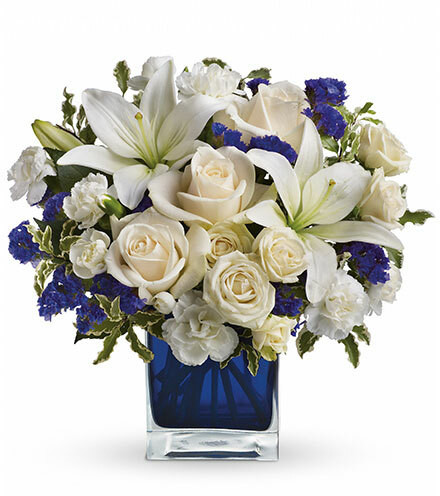 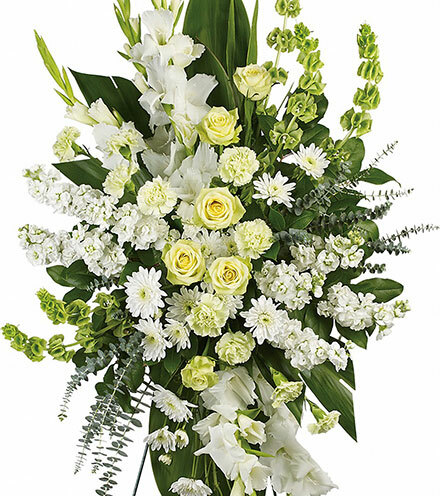 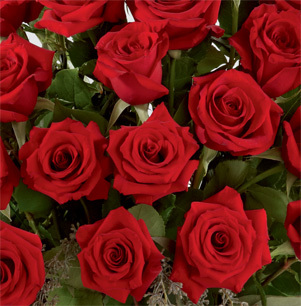 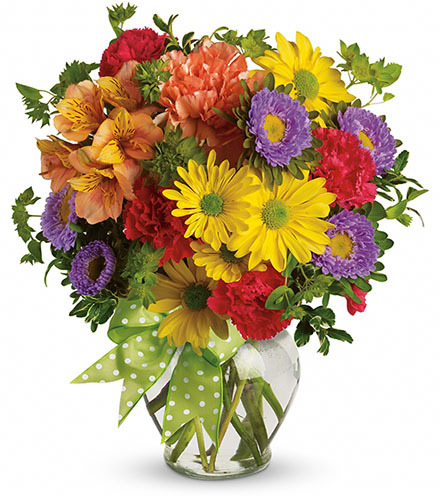 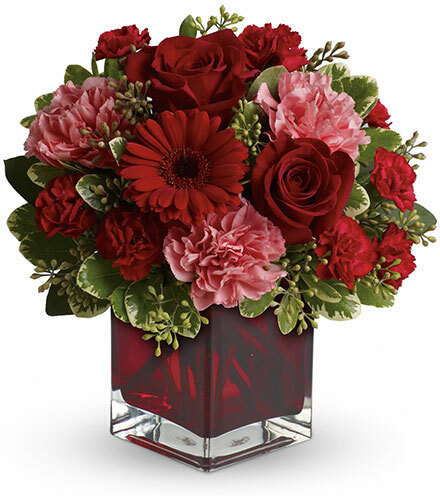 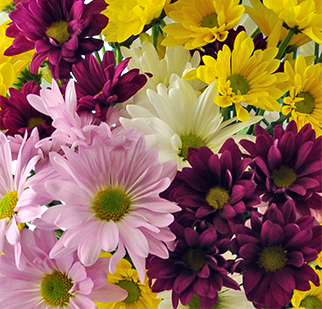 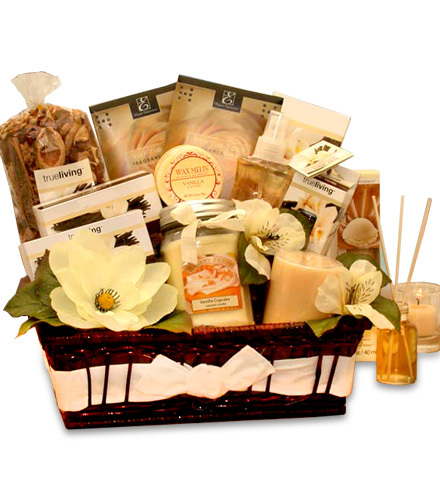 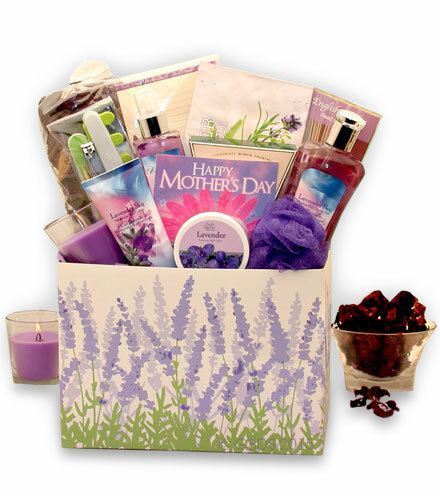 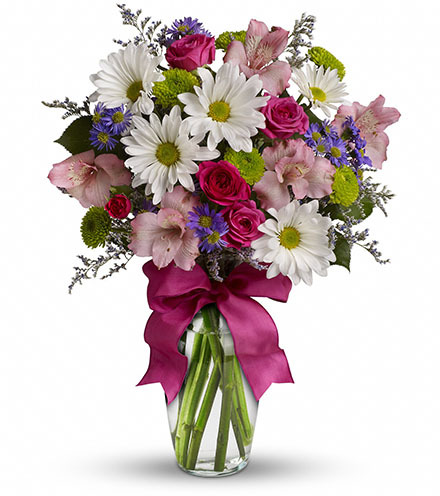 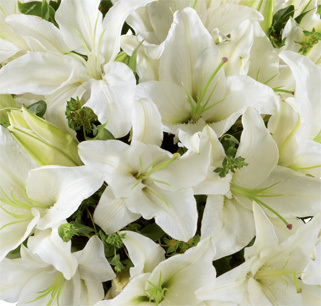 The superior quality of these cut flowers makes this an exciting gift to receive during the short spring season.